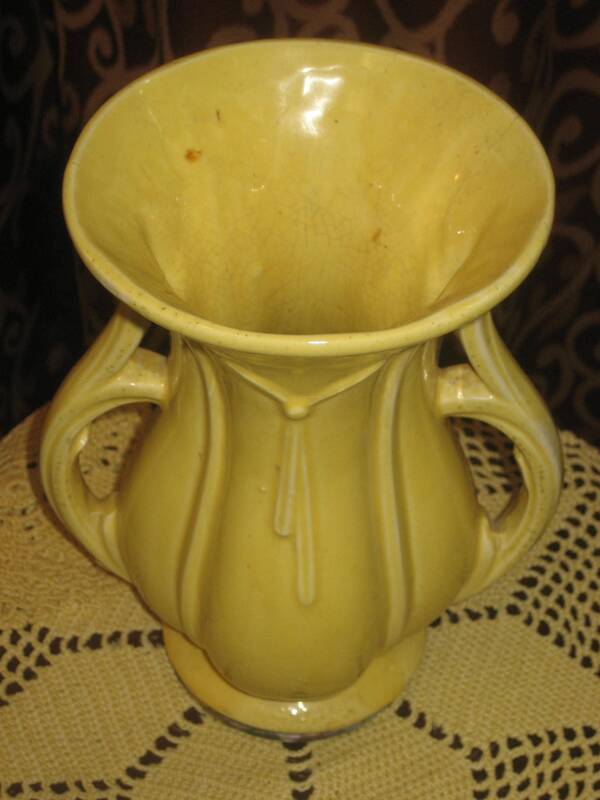 1940's, 9 tall, lemon yellow ceramic McCoy vase. 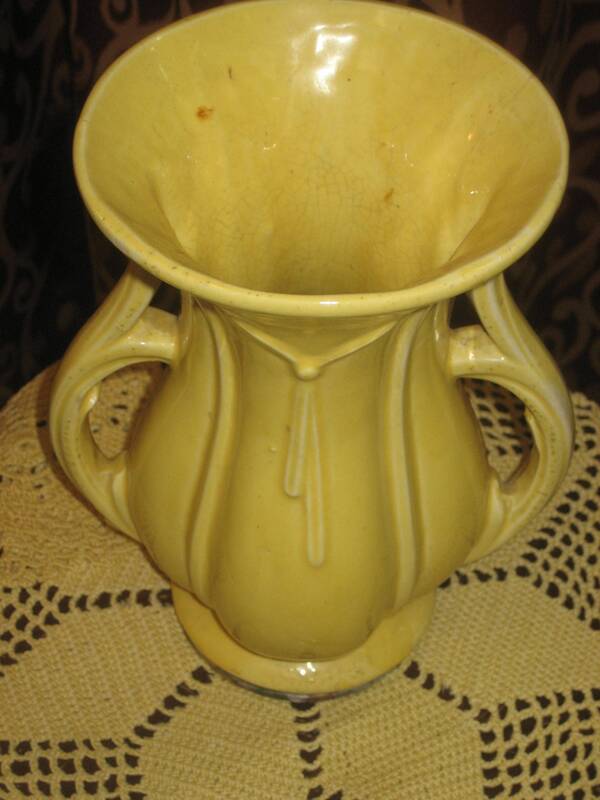 1940's, 9" tall, lemon yellow ceramic McCoy vase. 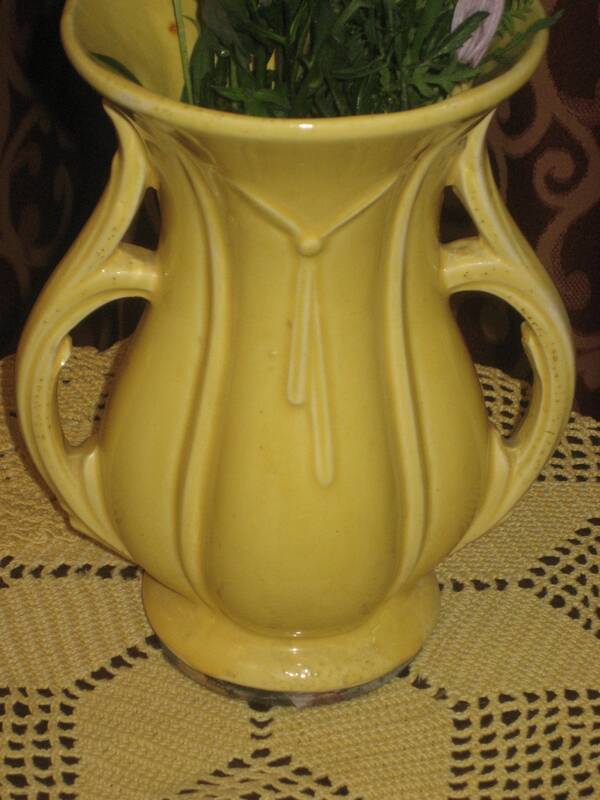 1940's, 9" tall, lemon yellow ceramic McCoy vase. 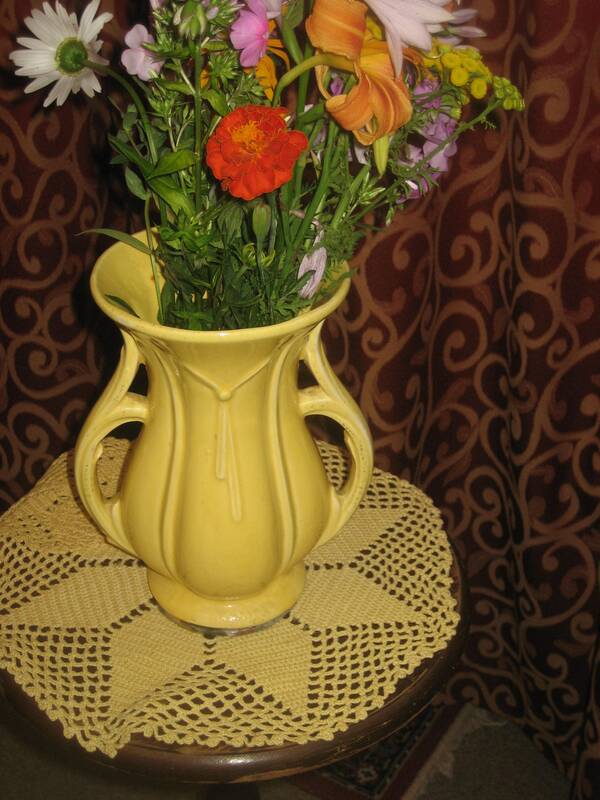 Vase has "vine" handles on each side, a tassel design in center front of vase, with attached pedestal .